Cheapest BOOTS I have ever seen! I couldn't hep but give them a try and I was plesently surprised. 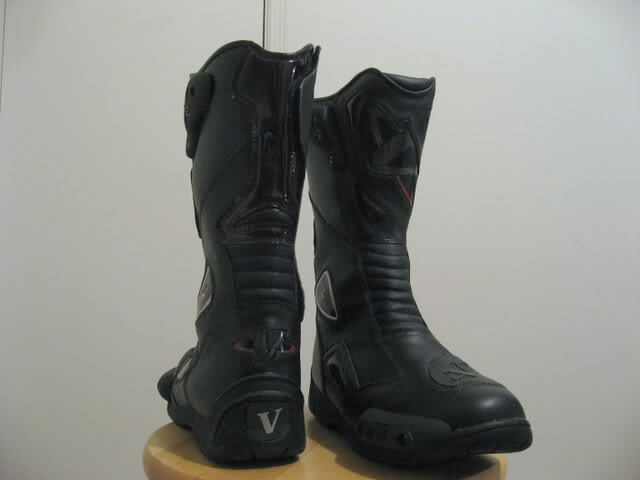 The boots sizing were accurate (the size was the same as my Nike's) and they were relatively comfortable. They are not tennis shoes, but I had no complaints after walking around for a while in them when I met my wife for lunch. These are GREAT boots for the price. If you don't have boots, then give these a try. There are better boots out there, but you will have to spend a heck of a lot more money to get them. RE: Cheapest BOOTS I have ever seen! Well, I just couldn't seem to stop... Sharpie FTW! I'll vouch for the vega brand. 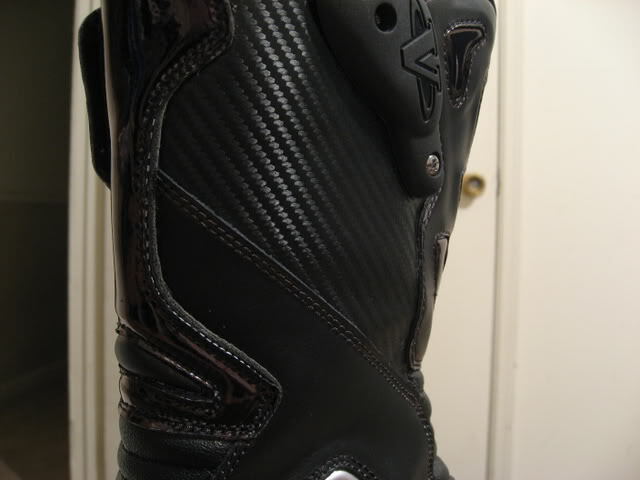 I am on my second pair of the techsport boots. They are extremely comfortable and have good protection. Better than regular boots. By the way, I still have my first pair, I just had to put some colored shoe goop around the sole. I have had my first pair for 4 years and still a great boot. My second pair I use for when I go to track. Great boots for the price. 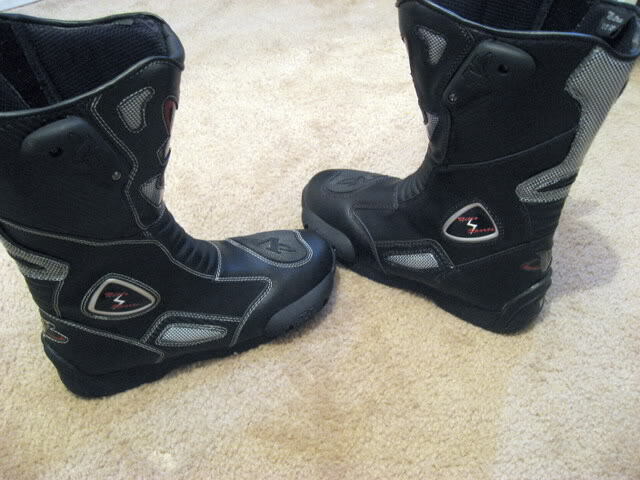 I've had the a-star smx and the smx plus... I like these better. I just bought the boots, hopefully for the price they will be as good as you two have said they will be. I bought an 11 because they dont have 10 1/2 so I dont think that will be a problem. You can't even buy a decent pair of sneakers for that price. I like the boots...still. I drove from Birmingham, AL to the tail of the dragon for the weekend (and back) and the boots did well. They got a little warm, but I guess that is expected. I never had a comfort issue with the boots. My lower back, however, was killing me after 800+ miles in one weekend! 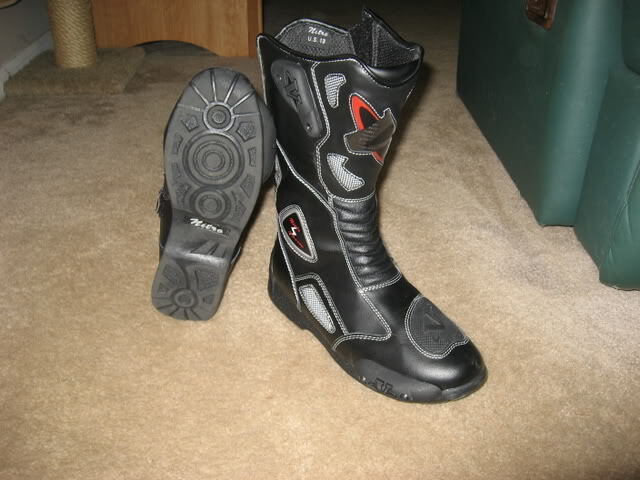 Overall, for the money, I still highly recommend these boots. If I had an extra $300, then I probably would have gone with something else. Flashman, let us know how you like them. I have a pair of them this will be the second season on them and the are comfortable, no problems when waling around them either. 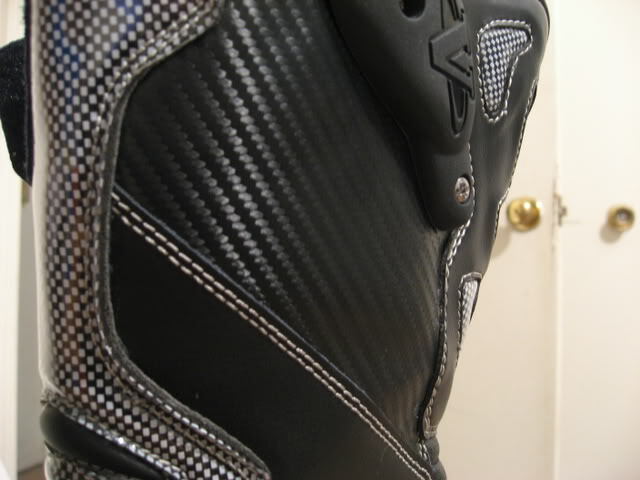 The only thing I lost was one of the screws that hold the toe guard in and the dealer replace it no problems. I did go back home and reinstalled all of the screws with blue locktite no mopre problems!!!!! I will, UPS says they will be here tomorrow so all weekend I will be trying them out. Glad you still like yours! Now I bought the 11 because I am a usually a 10 1/2 so I dont think that will be a major issue. I wear my shoes larger anyway so we will see. Quick Reply: Cheapest BOOTS I have ever seen!